SHINE (SHandilya Institute of Nurturing Excellence) has specialized in training Students, Employees, Executives, Professionals, Businessman - In general all success minded people, in Functional and Attitudinal Skills to help them develop success conducive positive attitudes.SHINE shines the dormant potentials and capabilities of a person and brings to surface his ability to Excel. There are a wide variety of programmes and courses that one can choose from. "ATTITUDE & MINDSET CHANGE FOR NATIONAL DEVELOPMENT" in which Mr Ramachandra Gowda, Hon Minister, Government of Karnataka, Mr Mahima Patel, MLA, Karnataka, Leading IAS and IPS officers, heads of IT companies, Engineering industries, Educational Institutions, Public and Private sector companies, print and electronic media personnel, musicians took part. The papers and discussions highlighted the role of attitude and mind set for organizational and national growth and how Indian scriptures contribute for change in mind set and attitude. SHINE has effectively executed a prestigious contract from WHO(World Health Organization). Bangalore is the only indian city of the 8 cities selected world-wide. This project is a joint collaboration with WHO - Kobe Center, Japan and WHO India in partnership with "Bhruhat Bangalore Mahanagar Palike". 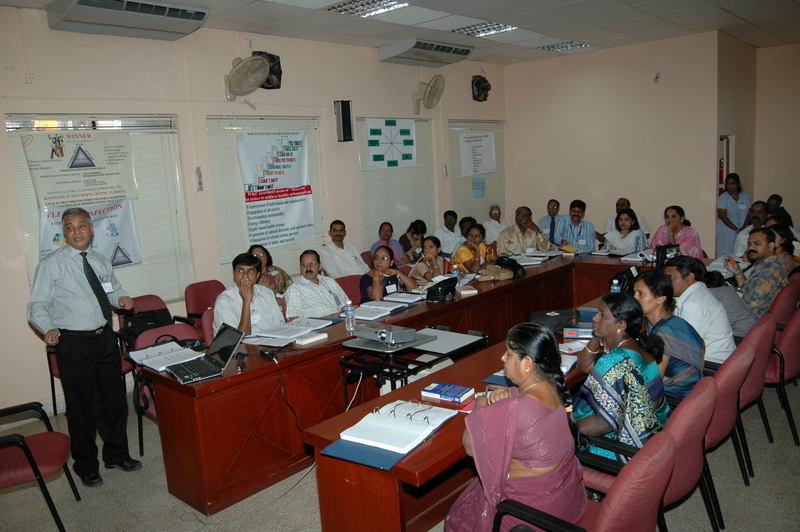 This project was called Bangalore Healthy Urbanisation Project in which 28 professional of seven Healthy Urbanization Learning Circles were trained to conduct research and contribute to improvement in Social health of Bangalore. This is a model to others in the world.. SHINE has been continuing the free development of youth of Karnataka. SHINE in association with SHAPE has been conducting free workshops for students and teachers of Kanakapura taluk at its new Shandilya Personality Development centre at Toppaganahalli, Kanakapura Taluk, Ramanagara District (48th KM from Bangalore on Bangalore – Kanakapura The foundation stone for the seminar room was laid on 11th September 2011. The first of 60 samplings was planted. The Deputy Chairman of Karnataka state planning board, Sri Ramachandra Gowda, MLA and ex minister GOK Sri Shiva Kumar, officials of education department, head masters of 60 schools of Kanakapura taluk, elected representatives of the taluk and village among others participated in the event. 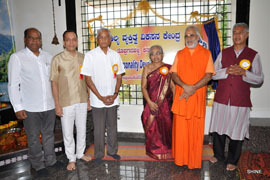 The fully equipped Shandilya Personality Development centre at Toppaganahalli was inaugurated by the Hon Minister of Energy,GOK, Sri D.K.Shivakumar in the divine presence of Pujya Swami Brahmanandaji, Head of Chinmaya Mission, Karnataka on Sunday the 21st June 2015 the first International Yoga day. Also present on the occasion were Sri Ramachandra Gowda, MLC, Sri Mahima J Patel ex MLA, Sri R.V.Gumaste, Managing Director, KFIL, Bevenahalli and Solapur, Sri.G.N.Seshadri, Director SHINE and Smt Lalitha Seshadri, President, SHAPE and officials and general public. 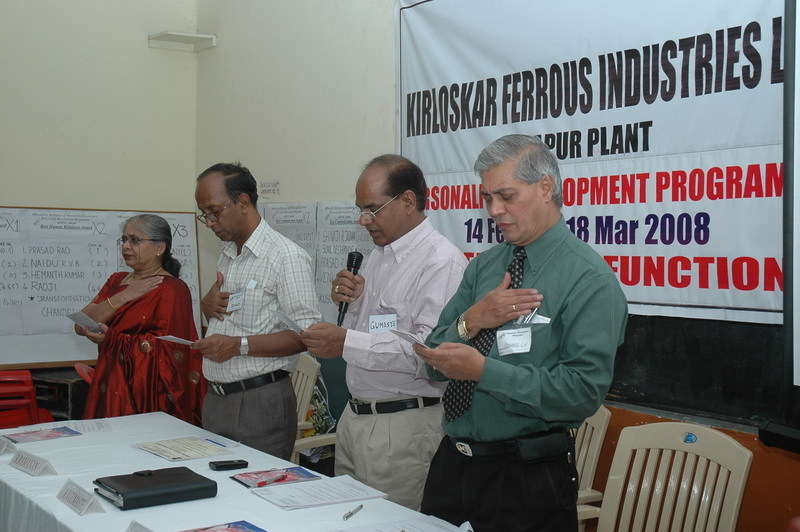 This centre at Toppaganahalli is dedicated to conduct free workshops to Students and Teachers on soft skills like Goal Setting and achieving, Effective Communication, Memory, Human Relation skills, Developing positive Attitude, Stress Management, Time management, Resume writing, Group Discussions, Interview facing skills, Patriotism, Yoga, Pranayama and Meditation. This is our humble contribution for Man making and Nation building Process. SHINE (SHandilya Institute of Nurturing Excellence) has specialized in training Students, Employees, Executives, Professionals, Businessman - In general all success minded people, in Functional and Attitudinal Skills to help them develop success conducive positive attitudes.